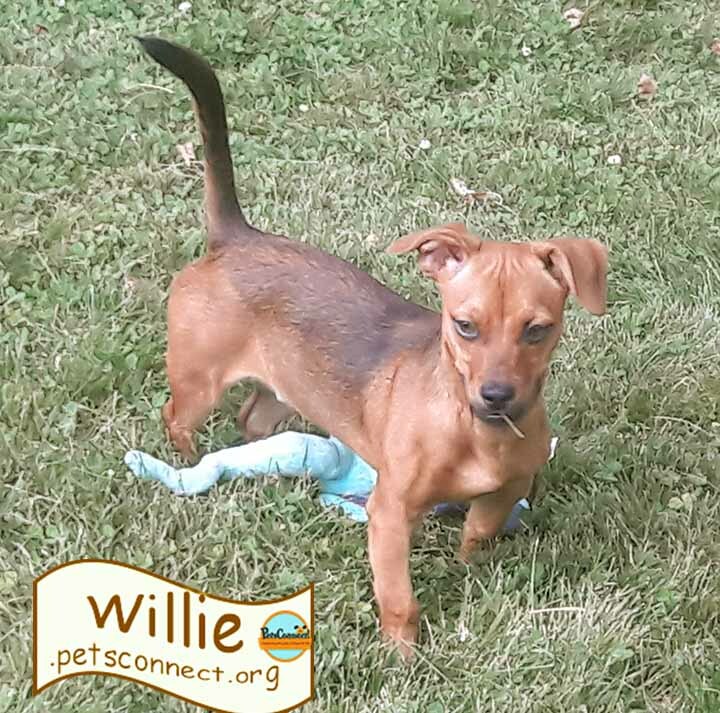 Willie is a 6 month old male dachshund mix. His DOB is 1/21/18, weight is 10# & he is red & black. 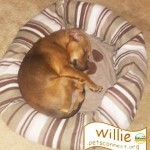 Willie is still working on his house training. He is very treat motivated. He is working on his crate training, also. We have a crate with the door left open & he will go in & lay down. 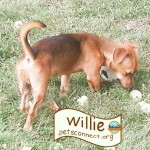 Willie is a cuddler & follows his foster mom everywhere. He is still a puppy & would be ok with children over age 6. He can play rough at times & needs to attend puppy manner/obedience classes. 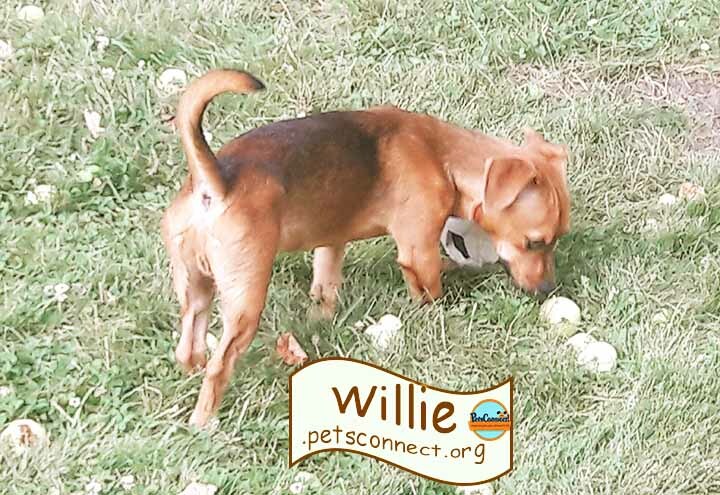 Willie is good with other dogs under 20#. He can be a barker & would not be a good dog for an apartment. A fenced in yard would be nice but is not a requirement. 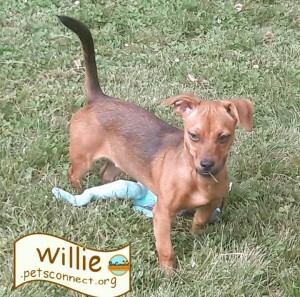 Willie likes squeaky toys & pull ropes. He aldo likes to chew deer antlers. 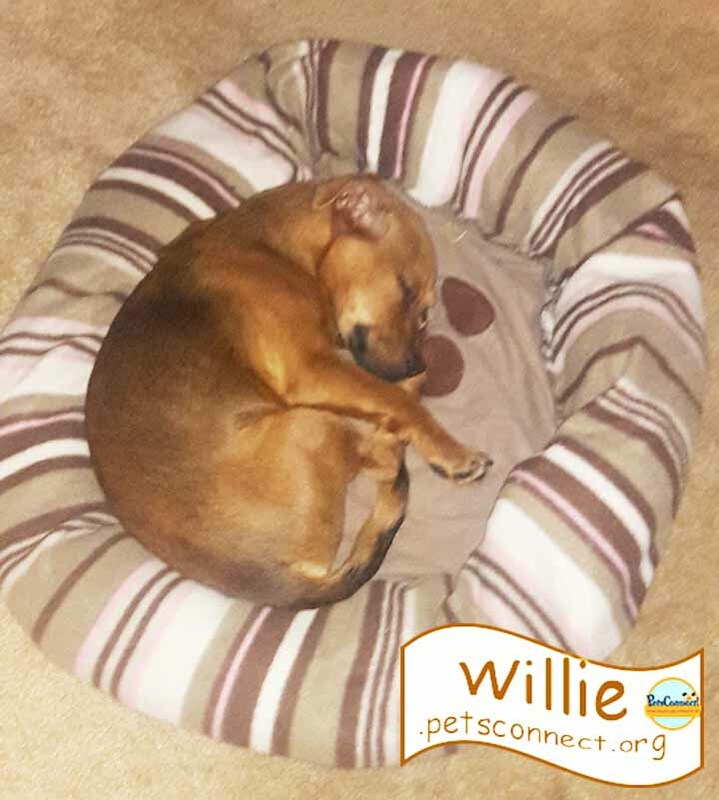 He does sleep with his foster family at night & likes to snuggle.